Rent College Pads helps college students find WVU off-campus housing options in Morgantown, WV. Whether you are looking for WVU houses for rent, you can compare tons of landlords all at once. Our resource makes the search process easier to find roommates, sublets, and West Virginia University student housing. View and filter all of the available property listings below for 1-bedrooms, studios, and more. Finding off-campus housing at West Virginia University has always been a chore. At Rent College Pads we are fixing that. All of our WVU off-campus housing and house rental options have been verified and approved by our diligent team. We even follow up with you and the landlord about your potential new house in Morgantown to make sure you have found your perfect place. Because there are so many options to consider before making a responsible renting decision, check out our guide to Morgantown student housing above. Students at West Virginia University who want to live off-campus will definitely want to start searching for Morgantown student housing in the fall. Especially those looking for houses for rent. The earliest searchers typically get started in late September, but most students look for next year’s housing in mid-to-late October and through early November. 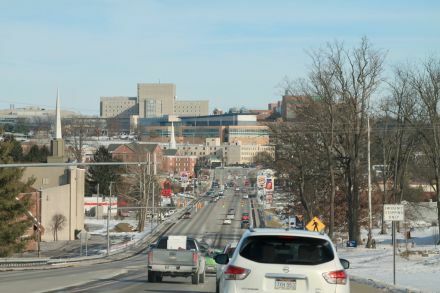 Searches for off-campus housing in Morgantown spike in the middle of October and slowly decline through December. Most students who want to live with big groups in four or five bedroom houses will begin searching early to find a landlord that suits their WVU off-campus housing needs to narrow your search. If you're looking to live by yourself in Morgantown, you'll be able to wait a bit longer. Often there are still good low bedroom count units available into the second semester around campus. But, as always, if you want to find the best place then start looking early! Rent prices for WVU off-campus housing in Morgantown are affordable and being a city on the larger side you will have a lot of options to choose from. Larger student housing complexes communities by campus or housing near Ruby Memorial Hospital are generally going to be more expensive. However, choosing to live in a house with a few roommates will save you a ton of cash! If you’re looking to save even more money then leave your car at home. Parking can be a nightmare, so, fortunately, the whole city is very accessible by walking or biking. Jewelman has operated for over three decades in Morgantown and features tons of houses and apartments right by campus. The houses are all completely remodeled and refurbished, with bedroom counts as high as eight. The Domain is another fully-furnished behemoth with luxury living probably better than you have it back home. Featuring the largest resort-style swimming pool in Morgantown, you can take a dip and paddle right up to their swim-up bar—apparently, Morgantown is the new Miami, and we’re totally okay with that. State on Campus is another beautifully designed, fully furnished, all-inclusive living experience for students who are looking for an on-campus location with an off-campus feel. Campus Park at The Ridge offers fully furnished student living with everything you can ask for and more. Feel free to leave that bag of quarters at home; each apartment comes with a full-sized washer and dryer. Despite its city location, Bon Vista’s country feel provides the complex with a unique charm that’s unmatched in Morgantown. Overlooking the rolling hills of West Virginia, the spacious apartments are ideal for college students and young professionals looking for a quiet and peaceful setting. Campus Evolution village promises you one of the best experiences you will have in your college career, and they surely deliver. Residents report that the apartments are clean upon move-in and the staff is always friendly. Spacious floor plans, gorgeous exteriors, and weekly social events make Copper Beach the desired spot to live in Morgantown. The lounge area and sundeck provide residents with the comforts and conveniences of on-campus living, with all the freedom of not having an RA coming by every five minutes. West Run offers fully furnished, 2-4 bedroom apartments located just minutes from campus and the Suncrest Town Centre. The layouts are spacious, and the amenities leave little to be desired. Mountain Valley wants you to evolve the way you live. It’s sort of like how Pikachu needs a Thunderstone to become Raichu; you need Mountain Valley apartments to become the best version of yourself… or something like that. The Lofts are contemporary looking apartments with a variety of features that the modern day student craves. A clubhouse, community events, a tanning salon and a swimming pool are just a few of the things you get to enjoy at The Lofts. When it comes time to kick back and let loose students at WVU often head down to areas like High Street to explore all the restaurants, bars, and clubs. This is an especially great spot if you're in one of the houses near WVU that are directly around the block. 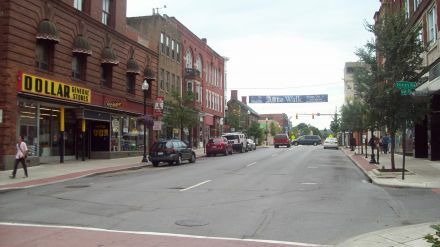 This favored street borders WVU’s Main Campus. Morgantown is very walkable and a lot of students ride their bikes. So getting to other popular places in the city is a breeze! Many places even offer special student discounts. Morgantown is surrounded by the Appalachian Mountains so students who enjoy spending their time outside will have plenty of sights to see and trails to hike. Not far from campus students can find the Core Arboretum where they will find natural waterfalls and views of the Monongahela River. The Arboretum also piggybacks the Caperton Trail which is one of Morgantown’s “must see” places that boasts beautiful landscape. Go for a weekend camping trip at Coopers Rock State Forest which is located only twenty minutes outside of the city. There you can swim, hike, fish, and even whitewater raft! If you’re looking to stay on campus check out WVU's recreation page, where you can learn more about how to participate in activities such as guided recreational tours and classes and rock climbing. Morgantown is truly a college town and WVU students pride themselves on academics while still being able to maintain a social life. Since WVU students make up most of the town some serious school spirit is shown during any sports season. Football and basketball are both huge in Morgantown. So round up your friends and start tailgating for a game or head to your favorite bar every Saturday! Morgantown is located on the banks of the Monongahela River and nestled in the Appalachian Mountains so there is no shortage of scenery here. Ride your bike or walk to the nearest nature trail and take a hike. This city also has plenty of attractions, shopping, and restaurants to peak anyone's interest to keep their diverse city busy. Historic Downtown Morgantown borders the West Virginia University campus. Wiley Street, to the north, separates Downtown from campus, even though the main WVU campus is often considered to be part of Downtown. The Downtown area has a variety of professional services, businesses, restaurants, bars, and residential units. 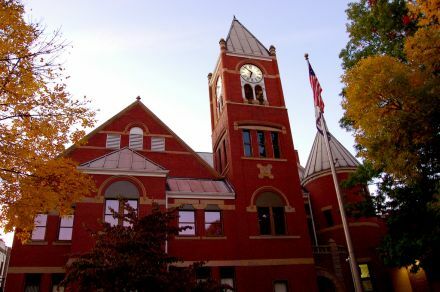 Downtown Morgantown has your typical small-town USA vibe, giving High Street the Main Street U.S.A charm. To keep up with the ever-changing growth in the economy and student population, as time went on High Street, and the surrounding area has become more developed with larger buildings and newer homes. There is a great selection of both apartments and houses Downtown. The West Virginia University Morgantown campus is made up of three separate campuses around the city. The first and main campus built, which is referred to as the Downtown Campus, borders the Downtown area and is located in between Downtown and Sunnyside in the Monongahela River Valley. This part of the university is made up of eight different buildings and is kind of it’s own part of town, but is within walking distance to Downtown. So some consider it to be its own part of Morgantown while others rope it in with the Downtown area. The majority of the building have been Downtown since the turn of the century and as the population grew, naturally so did the city. Downtown is the main focal point of the city and today has over 100 retailers, 35 restaurants and bars, 100 different businesses, and is home to the Historic Metropolitan Theater. The entertainment and nightlife scene is very big Downtown and with such a huge student population, along with having an artisan community, there is a lot to get into. From happy hour specials, live music nightly, trivia, and karaoke nights there’s something for everyone! Some of the popular nightclubs like Lux and Vice Versa are 18+ and have Dj’s playing while you hit the dancefloor. Over at 123 Pleasant Street, a popular music venue, they showcase local, regional, and national bands several nights out of the week. The next neighborhood, north of student-dominated Sunnyside, is Evansdale. The Evansdale Campus is a mile and a half north of the Downtown Campus. Over the years, enrollment at the WVU has grown significantly and to this day has nearly 30,000 students, which is equal to the city’s entire population. Due to limited space near the Downtown Campus, when the university expanded they built the third WWU campus called Health and Sciences Campus, which is also in Evansdale but just over the ridge. In addition, they built the Biomedical Research Facility, Mary Babb Randolph Cancer Center, and Ruby Memorial Hospital, amongst many other buildings. In the area, there are living options ranging from houses and apartment buildings. During the fall season, join thousands at the Mountaineer Field at Milan Puskar Stadium and cheer on the Mountaineer football team! Students can take the Personal Rapid Transit, or PRT, which is a collection of 70 electric cars that run along a self-guided raised track. The distance going back and forth is just under a ten-minute ride and is free to all students! Running along the Monongahela River just north of Downtown Morgantown is the Sunnyside neighborhood. Bordered by Campus Drive and University Avenue, Sunnyside is adjacent to West Virginia University so all of the housing in this neighborhood is in walking distance to campus. For decades, Sunnyside has been the known as the area where the majority of students lived off-campus. This was the spot where all the house parties went down and all of the pre and post game day festivities happened. The students living in Sunnyside try to hold this reputation, but in recent years, The City of Morgantown and the West Virginia University have combined forces to create the Sunnyside Up Project in order to revamp the area. They have been tearing down the older houses and building larger new luxury off-campus apartment complexes geared towards student living. The most recent being the U Club, which gives students fully furnished apartments and access to a swimming pool, hot tub, and fitness center, just to name a few things. Around the area are favored restaurants like The Greeks and Bombay. They have even recently added in the popular Sheetz convenience store where you can pick up all supplies and get food made to order.